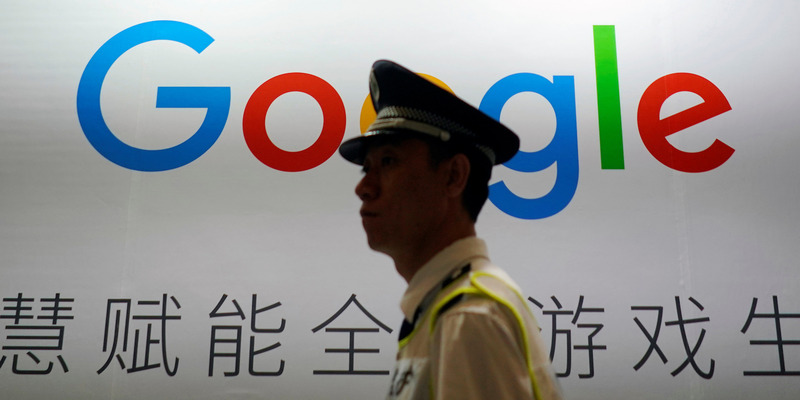 Chinese regional authorities recently laid out the kind of speech suppression that Google will likely have to facilitate for the country’s persecuted Muslim ethnic minority to launch its new product in China. Regional authorities in China passed new laws on how to crack down on its Uighur ethnic minority, which includes heavy surveillance, policing, and censorship from tech companies. Google has received a lot of backlash from rights activists and even the Trump administration for its China plans. Authorities in Xinjiang, a region in western China, on Tuesday, passed new local laws demonstrating how officials should root out banned speech to fight so-called religious extremists. 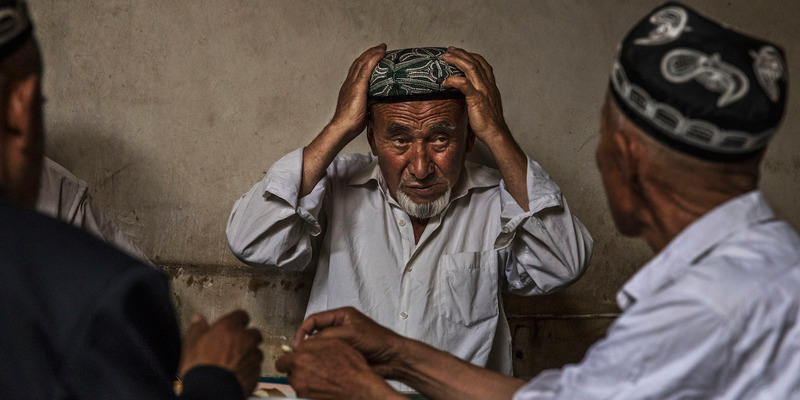 Around 11 million Uighurs, a mostly-Muslim ethnic minority, live in Xinjiang, and are subject to some of the most intrusive surveillance measures in the world, which include being monitored by 40,000 facial recognition cameras across the region, and having their DNA samples and blood types recorded. Tuesday’s laws made clear that authorities want tech companies to play their part in the surveillance, policing, and silencing of the Uighurs. 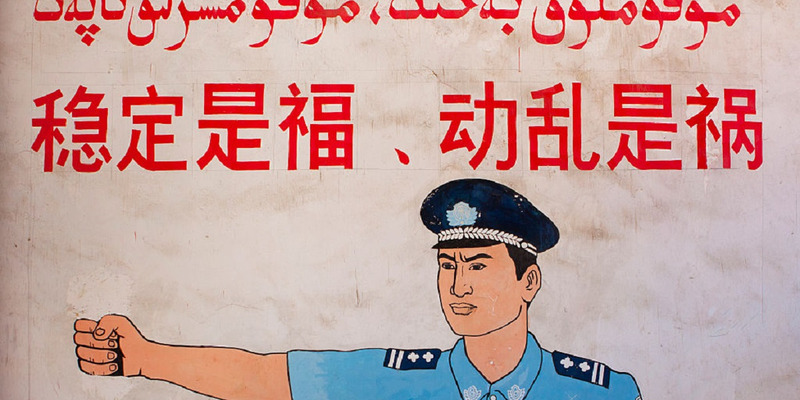 Beijing justifies its crackdown in Xinjiang — also known to Uighurs as East Turkestan — as a counterterrorism measure, though it’s denied UN inspectors access to the region. Google could be complicit in this persecution if its secretive plans to launch a censored search engine — codenamed “Project Dragonfly” — become a reality. It’s not entirely clear what they mean, but authorities have detained Uighurs in the past for bizarre reasons like setting their watch to two hours after Beijing time and growing a beard. According to the laws, when telecommunications companies find content unsatisfactory to the Chinese state, they will also be ordered to “stop its transmission, delete the relevant information, keep evidence, and promptly report the case” to Chinese authorities. The companies will also have to “assist the public security organs in conducting a lawful disposition,” which likely means giving up users’ personal information — such as their addresses — so Chinese law enforcement can find them. Google is planning to launch a censored version of its search engine in China, which would block out websites and search terms unsavory to the ruling Communist Party — such as human rights, democracy, and religion, The Intercept reported this August, citing leaked documents. An early prototype of the search engine also showed that Google would link Android users’ searches to their personal phone numbers. 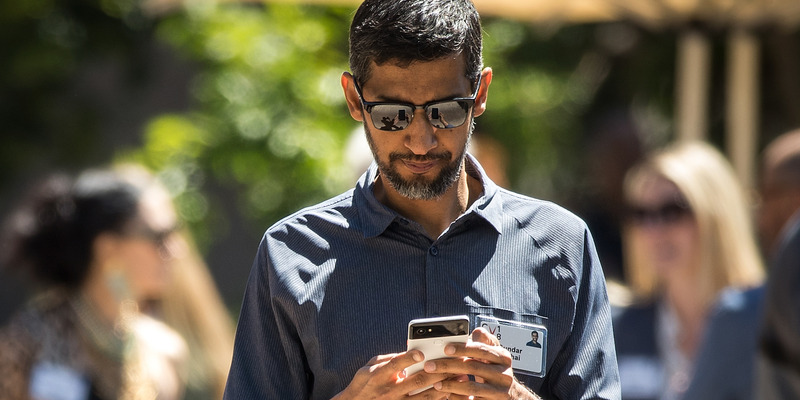 This means that individual users could have their online activity easily monitored, and be at risk of detention if Google passed on the data to the Chinese government. Chinese tech giants have passed on user data and the contents of private conversations to Chinese law-enforcement in the past. Earlier this year, China’s Ministry of Public Security announced that law-enforcement officers could obtain and use private conversations on WeChat, the popular messaging app, in legal proceedings. Earlier this year Yuan Yang, the Financial Times’ tech correspondent in Beijing, reported that state officials had accessed her private messages on WeChat without her knowledge or permission. A police officer randomly cited messages she had posted in a private chat, she said. Similarly, Chinese police visited the mother of Shawn Zhang, a law student in Canada, in China after Zhang criticized Chinese President Xi Jinping on social media. “I also didn’t expect police to respond so quickly. It suggests my social media account is probably under their close monitoring. They will read everything I say,” Zhang told Business Insider earlier this year. Chinese authorities have also forced many Uighurs to download an app that scans photos, videos, audio files, ebooks, and other documents. The app, named Jingwang (“cleansing the web” in Mandarin Chinese), extracts information including the phone number and model, and scours through its files, the US government-funded Open Technology Fund reported. The screenshots below show what the app looks like. 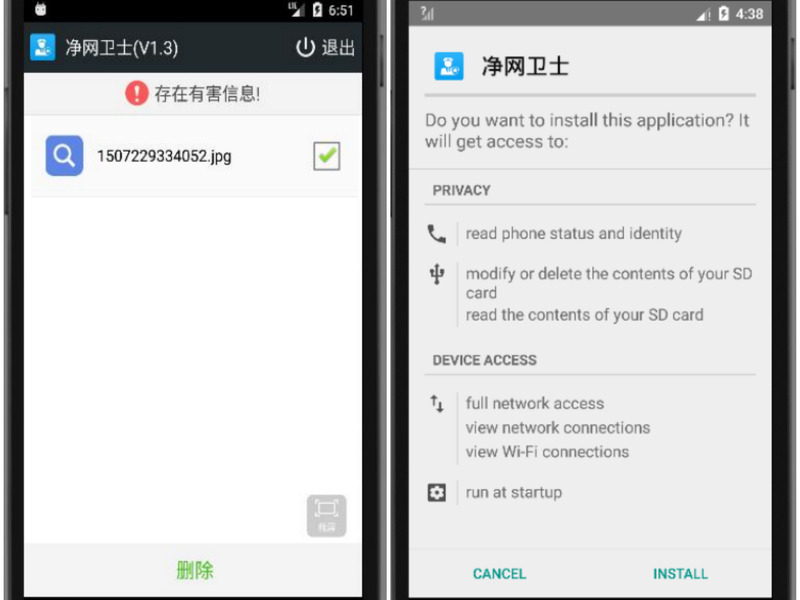 The grab on the left shows Jingwang prompting users to delete “dangerous content” on their phone, while the one on the right shows the app’s access. Rights groups have accused China of imprisoning up to 1 million Uighurs in detention or re-education camps, where people have described being shackled to chairs, beaten up, and forced to sing patriotic songs in order to get food. The new Xinjiang laws formalized the use of those camps despite Beijing’s previous claims that they did not exist. China also appears to be creating a global registry of the Uighur diaspora, even if they are citizens of other countries. Multiple Uighurs living overseas have reported threats made directly to them or their family members in China if they did not give up personal data such as license plate numbers and bank details. If Google sets up a base in China, it won’t just be party to Uighur abuses, either. 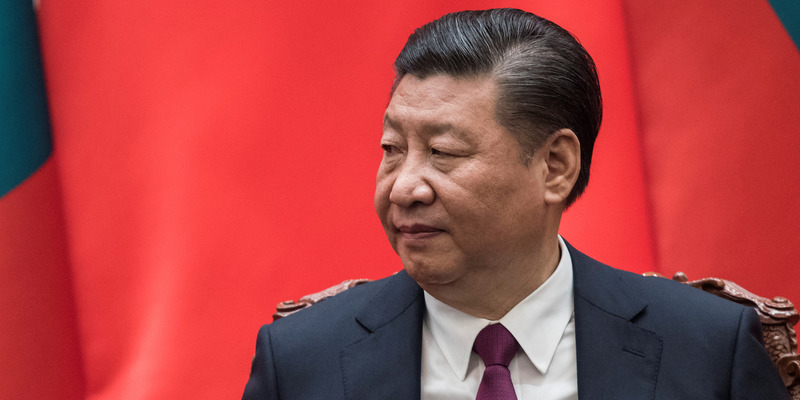 China has a track record of publicly disappearing its critics, placing innocent family members under house arrest, and barging into people’s homes to interrupt their phone calls.